Warkworth Castle is a ruined medieval building in the village of the same name in the English county of Northumberland. The village and castle occupy a loop of the River Coquet, less than a mile from England's north-east coast. When the castle was founded is uncertain: traditionally its construction has been ascribed to Prince Henry of Scotland, Earl of Northumbria, in the mid-12th century, but it may have been built by King Henry II of England when he took control of England's northern counties. Warkworth Castle was first documented in a charter of 1157–1164 when Henry II granted it to Roger fitz Richard. The timber castle was considered "feeble", and was left undefended when the Scots invaded in 1173. Roger's son Robert inherited and improved the castle. Robert was a favourite of King John, and hosted him at Warkworth Castle in 1213. The castle remained in the family line, with periods of guardianship when heirs were too young to control their estates. 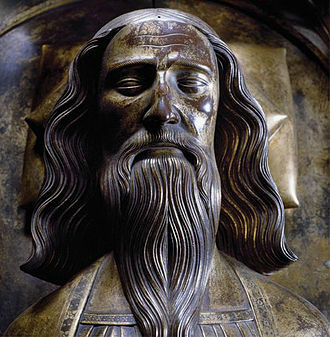 King Edward I stayed overnight in 1292 and John de Clavering, descendant of Roger fitz Richard, made the Crown his inheritor. With the outbreak of the Anglo-Scottish Wars, Edward II invested in castles including Warkworth where he funded the strengthening of the garrison in 1319. Twice in 1327 the Scots besieged the castle without success. John de Clavering died in 1332 and his widow in 1345, at which point The 2nd Baron Percy of Alnwick took control of Warkworth Castle, having been promised Clavering's property by Edward III. Henry Percy, 1st Earl of Northumberland, added the imposing keep overlooking the village of Warkworth in the late 14th century. The fourth earl remodelled the buildings in the bailey and began the construction of a collegiate church within the castle, but work on the latter was abandoned after his death. Although The 10th Earl of Northumberland supported Parliament during the English Civil War, the castle was damaged during the conflict. The last Percy earl died in 1670. In the mid-18th century the castle found its way into the hands of Hugh Smithson, who married the indirect Percy heiress. He adopted the surname "Percy" and founded the dynasty of the Dukes of Northumberland, through whom possession of the castle descended. In the late 19th century, the dukes refurbished Warkworth Castle and Anthony Salvin was commissioned to restore the keep. The 8th Duke of Northumberland gave custody of the castle to the Office of Works in 1922. Since 1984 English Heritage has cared for the site, which is a Grade I listed building and a Scheduled Ancient Monument. An Ordnance Survey map published in 1945 showing Warkworth in the loop of the River Coquet. Warkworth Castle is at the south end of the loop. Although the settlement of Warkworth in Northumberland dates back to at least the 8th century, the first castle was not built until after the Norman Conquest. The town and its castle occupied a loop of the River Coquet. The castle was built at the south end of the town, guarding the narrow neck of the loop. A fortified bridge also defended the approach to the town. The surrounding lowland countryside was favourable for agriculture. When the castle was founded and by whom is uncertain, though traditionally Prince Henry of Scotland, Earl of Northumberland, has been thought responsible. 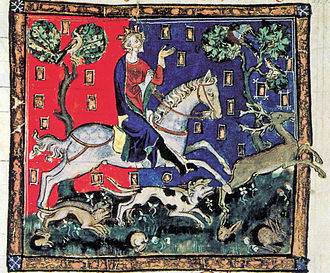 With civil war in south-west England, King Stephen of England needed to ensure northern England was secure. To this end, the Treaty of Durham in 1139 between Scotland and England ensured peace. Under the treaty Henry of Scotland became Earl of Northumbria in exchange for ceding control of the castles at Bamburgh and Newcastle to the English. Without them Henry would have needed a new seat from which to exercise his authority, and a new castle at Warkworth may have met the requirement. However, charters show that Henry still controlled Bamburgh Castle after the treaty, and as Warkworth was a modest castle by contemporary standards it may be have been founded by someone else. Henry died in 1152 and his son, Malcolm (crowned King of Scotland in 1153), inherited his lands. In 1157 Malcolm travelled to Peveril Castle in Derbyshire, where he paid homage to the new King of England, Henry II. Malcolm surrendered England's northern counties to Henry, including the castles of Bamburgh, Carlisle, and Newcastle, and probably Appleby, Brough, Wark, and Warkworth, though it is possible that Henry II founded Warkworth Castle in 1157 to secure his lands in Northumberland; other contemporary castles in the area were built for this purpose, for instance the one at Harbottle. Warkworth Castle's gatehouse (left) dates mostly from the 13th century. The first mention of Warkworth Castle occurs in a charter of 1157–1164 from Henry II granting the castle and surrounding manor to Roger fitz Richard, a member of a noble Norman family. It has been suggested that this charter may have used the term castle to describe a high-status residence on the site, possibly dating from the Anglo-Saxon period, meaning Roger may have built the castle. He owned lands across a wide area, and Warkworth may have been of little significance in the context of his other holdings. When the Scots invaded Northumberland in 1173, although Roger fitz Richard was in the county Warkworth Castle was not defended by its garrison. Its defences at the time were described as "feeble". In 1174 Duncan II, Earl of Fife, raided Warkworth. The contemporary record does not mention the castle, and instead notes that Warkworth's inhabitants sought refuge in the church. When Roger fitz Richard died in 1178 his son and heir, Robert fitz Roger, was still a child. A guardian looked after the family estates until Robert came of age in 1191. He paid the Crown 300 marks in 1199 for confirmation of his ownership of Warkworth, including the castle. Substantial building work at Warkworth Castle is attributed to Robert. A favourite of King John, Robert hosted him at Warkworth Castle in 1213. Warkworth Castle continued to descend through the family line when Robert fitz Roger was succeeded by his son John in 1214, who was succeeded by his son Roger in 1240. Roger died in 1249 when his son Robert was one year old, and a guardian was appointed to care for the family's estates: William de Valence, half-brother of King Henry III. The castle, characterised by this time by the chronicler Matthew Paris as "noble", remained under the guardianship of Valence until 1268, when it reverted to Robert fitz John. King Edward I of England stayed at Warkworth Castle for a night in 1292. The English king was asked to mediate in a dispute over the Scottish throne and laid his own claim, leading to the Anglo-Scottish Wars. After the Scottish victory at the Battle of Stirling Bridge in 1297, Robert and his son, John de Clavering, were captured. They were subsequently released and in 1310 John assumed control of the family estates. A year later, John made arrangements so that on his death the king would receive all of his property. Between roughly 1310 and 1330 the English struggled to deal with Scottish raids in northern England. Such was the importance of large castles during the Scottish Wars that the Crown subsidised their maintenance and even construction. In 1319, King Edward II paid for a garrison for the castle of four men-at-arms and eight hobilars to enhance the existing force of twelve men-at-arms. Ralph Neville was the keeper of Warkworth Castle in 1322. As he was married to John's daughter, Euphemia, Ralph may have hoped to inherit the Clavering estates, but that did not happen. Twice in 1327 Scottish forces besieged the castle without success. Around this time, the Percy family was becoming Northumberland's most powerful dynasty. Henry de Percy, 2nd Baron Percy, was in the service of Edward III and was paid 500 marks a year in perpetuity in return for leading a company of men-at-arms. In exchange for the annual fee, in 1328 Percy was promised the rights to the Clavering estates. 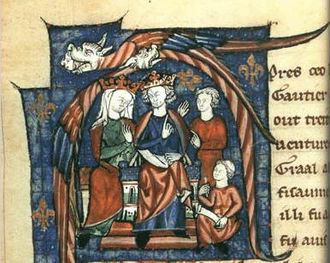 Parliament declared such contracts illegal in 1331, but after initially relinquishing his claim Percy was granted special permission to inherit. John de Clavering died in 1332 and his widow in 1345, at which point the family's estates became the property of the Percys. While the Percys owned Alnwick Castle, which was considered more prestigious, Warkworth was the family's preferred home. Under the Percys a park was created nearby for hunting, and within the castle two residential blocks were created, described by historian John Goodall as "of unparalleled quality and sophistication in Northumberland". The second baron died at Warkworth in 1352. The keep was built by Henry Percy, 1st Earl of Northumberland. In 1377 the fourth Baron Percy, also named Henry, was made the first Earl of Northumberland (becoming the first family from northern England to be granted an earldom) in recognition of his extensive power in the march areas along the Anglo-Scottish border. 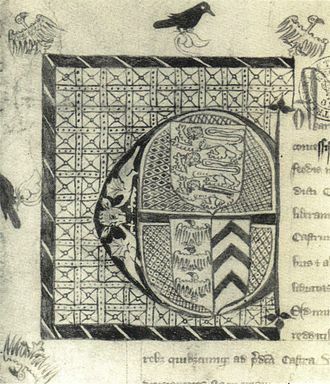 With a network of contacts and dependencies, the Percys were the pre-eminent family in northern England in the 14th century "for they have the hertes of the people by north and ever had", in the words of contemporaneous chronicler John Hardyng. Henry Percy commissioned the building of the distinctive keep shortly after he was made Earl of Northumberland. Percy may have enhanced his main castle to compete with John of Gaunt, who rebuilt the nearby Dunstanburgh Castle, or with the House of Neville, a family becoming increasingly powerful in northern England and who undertook a programme of building at the castles of Brancepeth, Raby, Bamburgh, Middleham, and Sheriff Hutton. Architectural similarities between Warkworth's keep, Bolton Castle, and the domestic buildings at Bamburgh Castle suggest that John Lewyn was the master mason responsible for building Warkworth's keep. 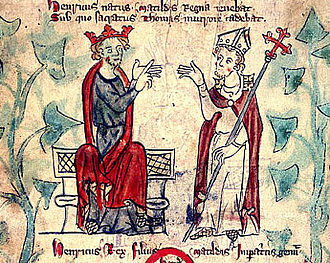 Earl Henry helped dethrone Richard II and replace him with Henry IV. The earl and his eldest son Henry "Hotspur" Percy fell out with the new king, and eventually rebelled. After Hotspur was killed at the Battle of Shrewsbury in 1403, his father fled to Warkworth. The earl eventually went to York to submit to the king. He was arrested and the king attempted to install his own men at the castles of Alnwick, Langley Castle, Prudhoe, and Warkworth. The earl's 14-year-old son claimed that he was loyal to the king but was not empowered to formally surrender the castle, and it remained under control of the Percys. Henry was pardoned in 1404. Earl Henry rebelled again in 1405, this time joining the unsuccessful revolt of Archbishop Scrope. While Henry was fleeing north after the failed rebellion, his castles offered some resistance before submitting to royal forces. Warkworth itself was well-provisioned and the garrison initially refused to surrender. However, according to a letter written by Henry IV from Warkworth after its fall, after just seven shots from his cannon the defenders capitulated. The castle was forfeited to the Crown, and was used by one of the King's sons, John, Duke of Bedford, who was appointed to rule the area. It remained in the ownership of the Crown until Henry V restored it to the Percy family in 1416, and at the same time made the son of "Hotspur" Henry, another Henry Percy, second Earl of Northumberland. It is known that the second earl resided at Warkworth and undertook building work there, but it is now unclear for which parts he was responsible. The Percys supported the House of Lancaster during the Wars of the Roses, and the second earl and his successor – Henry Percy, 3rd Earl of Northumberland – were killed at the battles of St Albans in 1455 and Towton in 1461 respectively. The new king, Edward IV, issued an attainder against the family and their property was confiscated. On 1 August 1464, as a result of suppressing Lancastrian rebellions in the north for the previous three years, the title of Earl of Northumberland was given to The 1st Marquess of Montagu, a Yorkist, and with it, the castle. During his tenure, he constructed a twenty-five-foot tall rectangular tower, built for defence, "with [arrow] slits in the three outer walls;" this is known as 'Montagu's Tower' to this day. His brother, The 16th Earl of Warwick, used Warkworth as a base from which the Lancastrian-held castles of Northumberland – Alnwick, Bamburgh, and Dunstanburgh – were attacked and their sieges co-ordinated. In 1470 Edward IV returned the Percys' estates to the eldest son of the third earl, who was also called Henry Percy. A year later Henry was granted the earldom of Northumberland. Some time after 1472 Henry remodelled the building of the bailey. He also planned to build a collegiate church within the castle, but the work was abandoned after his death. When the fourth earl was murdered in 1489, his son, Henry Algernon, inherited and maintained the castle. In the early 16th century Henry Percy, 6th Earl of Northumberland, was responsible for clearing the collegiate church founded by his grandfather, but left incomplete by the fifth earl. 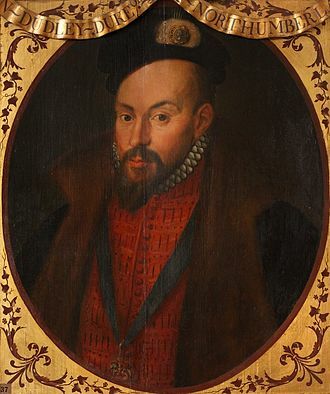 Thomas Percy, brother of the sixth earl, was executed for his role in the Pilgrimage of Grace in 1536. When Henry Percy died the next year without any sons, the family's property passed to the Crown. Although royal officers still used the castle, by 1550 it had fallen into disrepair. In 1557 the Percy estates were restored to the descendants of Thomas, and the nephew of the sixth earl, another Thomas Percy, was given the earldom. He began a programme of repairs at the castle, and in the process dismantled "the hall and other houses of office". J. M. W. Turner painted Warkworth Castle in 1799. The ruins were attracting tourists as early as the mid 18th century. The Rising of the North in 1569 saw Catholic nobles in northern England rebel against the Protestant Queen Elizabeth I. The Catholic Thomas Percy joined the rebellion and supporters congregated at the castles of Alnwick and Warkworth. Sir John Forster, Warden of the March, ordered those inside to leave and the castles were surrendered to his control. During the conflict that followed, Warkworth remained under royal control. Forster pillaged the castle, stripping it of its timbers and furnishings. The keep at least did not share in this fate, but in April 1572 Henry Carey, 1st Baron Hunsdon, bemoaned the treatment meted out to the Percy castles, writing to the queen's chief minister, "It is a great pity to see how Alnwick Castle and Warkworth are spoiled by him ... I am creditably informed that he means utterly to deface them both." An attainder was issued against Thomas Percy so that when he came into English custody he was executed without trial on 22 August. As a result, Percy's son was passed over, but under the terms of the attainder his brother was allowed to inherit. In 1574, Elizabeth granted Henry Percy permission to inherit the family's property and assume the title of 8th Earl of Northumberland. The castle formed the backdrop for several scenes in William Shakespeare's Henry IV, Part 1 and Part 2. Another Henry Percy inherited the family estates in 1585 and assumed the title of 9th Earl of Northumberland. After the failed Gunpowder Plot of 1605, the earl was imprisoned for his connection with Thomas Percy, one of the plotters. Shortly before he was sentenced (he was fined £30,000 and held in the Tower of London), the earl leased Warkworth Castle to Sir Ralph Gray, who owned Chillingham Castle in Northumberland. Gray neglected the earl's building and allowed it to fall further into disrepair. The lead from the buildings in the bailey was sold in 1607 to alleviate the earl's financial problems. When James I visited in 1617 en route to Scotland, his entourage was angered by the sorry state of the castle. With the unification of England and Scotland under a single ruler, the earls of Northumberland had no need for two great castles near the Anglo-Scottish border; they maintained Alnwick at the expense of Warkworth. In the first quarter of the 17th century, the keep was used to hold manor courts and for the laying out of oats. The details surrounding Warkworth Castle's role in the English Civil War are unclear, but the conflict resulted in further damage to the structure. Initially held by Royalist forces, the castle was still important enough that when the Scots invaded in 1644 they forced its surrender. Algernon Percy, 10th Earl of Northumberland, supported Parliament, which may have prevented the Scots from doing much damage to the castle. 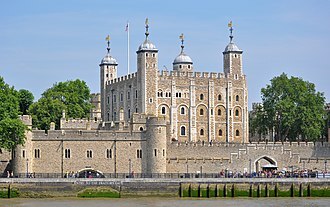 Parliamentarian forces took over the castle in 1648; when they withdrew they removed the castle's doors and iron so that it could not be reused by the enemy. They may also have partially demolished some of the castle, and may be responsible for its present state. Algernon Percy unsuccessfully applied for compensation in 1649 for the damage. The castle has been in the care of English Heritage since 1984. The 11th Earl of Northumberland, the last Percy earl, died in 1670. Two years later his widow allowed the keep's materials to be reused to build Chirton Hall. A total of 272 cart-loads were taken from the keep. Lord Northumberland's property passed to The 7th Duke of Somerset through marriage. In 1698, the owners decided not to renovate Warkworth Castle after the estimate to add battlements, floors and new windows came in at £1,600. Lady Elizabeth Seymour inherited the property from her father in 1750. Her husband, Hugh Smithson, changed his name to Hugh Percy, and the castle then descended through the Dukes of Northumberland, a dynasty he founded. During the 18th century the castle was allowed to languish. The south-west tower was falling apart and around 1752 part of the curtain wall east of the gatehouse was demolished (it was rebuilt towards the end of the century). The town and its historic ruins were by now attracting interest as a tourist destination, largely due to Bishop Thomas Percy's poem, The Hermit of Warkworth. In the mid 19th century, The 3rd Duke of Northumberland undertook some preservation work. His successor, The 4th Duke of Northumberland, contracted Anthony Salvin to restore the keep. The work undertaken between 1853 and 1858 was not as extensive as Salvin had planned, and was limited to partially refacing the exterior and adding new floors and roofs to two chambers, which became known as the Duke's Chambers, on the second floor. The Duke occasionally used the chambers for picnics when he visited from Alnwick Castle. The 4th Duke funded excavations at the castle in the 1850s which uncovered the remains of the collegiate church within the bailey. In 1922, The 8th Duke of Northumberland granted custodianship of the castle to the Office of Works which had been made accountable for the guardianship of ancient monuments. The Duke's Chambers remained under the direct control of the Percys. The Office of Works undertook excavations in the moat in 1924 and removed the custodian from the gatehouse. English Heritage, who now manage and maintain the site, succeeded as the castle's custodians in 1984, and three years later the Duke's Chambers were given over to their care. The castle is a Scheduled Ancient Monument, a "nationally important" historic building and archaeological site which has been given protection against unauthorised change. 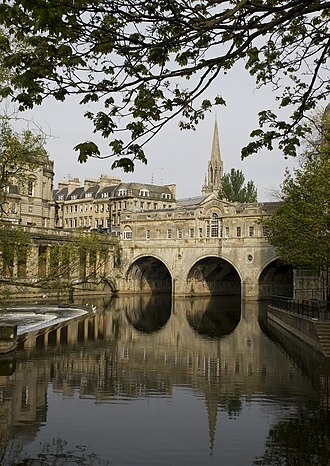 It is also a Grade I listed building (first listed in 1985) and recognised as an internationally important structure. The castle continues to be officially owned by the Percy family, currently being owned by His Grace The 12th Duke of Northumberland. The keep at the north end of the castle dates from the late 14th century. Warkworth Castle's main entrance was through a gatehouse in the south. The curtain walls date from the early 13th century. Warkworth Castle is an irregular enclosure. The keep is at the north end, overlooking the town, with the bailey to the south. The current keep was built on an earlier mound, known as a motte. The curtain wall of the bailey dates from the early 13th century. There are four towers: Carrickfergus Tower in the south-west corner, Montagu Tower in the south-east, a postern tower in the west wall (north of the kitchen), and Grey Mare's Tail Tower attached to the east wall. Against the east curtain wall was a stable. In the northern half of the bailey, aligned east–west, was an unfinished 15th-century collegiate church; it was cleared away in the early 16th century. Immediately west of the church was the kitchen, situated in the angle of the curtain wall as it changes from its north–south alignment and turns towards the keep. Along the west curtain wall, south of the kitchen, were the pantry, great hall, and withdrawing chambers. In the south-west was a chapel. Apart from the north side, the castle was surrounded by a moat. The gatehouse in the centre of the south curtain wall mostly dates from the 13th century. It was originally accessed via a drawbridge and visitors had to pass through two gates, one at either end of the passage, and a portcullis. The semi-octagonal projections on either side of the gate passage are considered ornamental. Between the projections and above the gate were machicolations, openings for missiles to be hurled at attackers. The rooms on either side of the passage were guardrooms. The only remaining openings on the front are slits at ground level. Slits on the other sides of the gatehouse, and along the entrance passage, allowed the gatekeeper to watch people approaching and entering the castle. The structure underwent later alterations in the 19th and 20th centuries when it housed the castle's custodian; slits in the gatehouse's front may have been filled in. The range along the western curtain wall dates from about 1480, when the fourth earl remodelled the bailey. The great hall was the social hub of the castle, where the household gathered to eat. The now-ruined 15th-century building replaced an earlier hall on the same site, dating from about 1200, although some of the stone dates from the mid 12th century. The earl would have entered from the south from his connecting private chambers, and people of lower status through the Lion Tower. Internally, it was split into two aisles of differing width. Both halls were heated by open hearths, two of which survive from the earlier hall. Opposite ends of the hall were for opposite ends of the social scale within the castle. The high end (next to the withdrawing chamber) was for the earl and his family, and the low end (next to the kitchen and other service rooms) for the rest of the household. In the medieval period, the great hall was richly decorated with tapestries. The Lion Tower was the entrance to the north end of the great hall. Above the archway through the tower were displayed heraldic items, symbolic of the Percy earls' power. The lion at the bottom was the emblem of the earls. Though now much damaged, above the lion were the ancient arms of the family and the arms of the Lucy family, whose property the Percys had inherited in the 1380s. As the tower was entered from the bailey, on the right was a doorway leading to the incomplete collegiate church. To the left was the great hall, and beyond that, withdrawing chambers; to the right were the buttery, pantry, larder, and kitchen. Immediately north of the kitchen was a postern tower. Built around 1200, its upper floors were later reused for accommodation. An entrance of lesser status than the main gatehouse, the gate's position next to the kitchen suggests it was a tradesmen's entrance, used for conveying supplies to the castle. The Carrickfergus Tower in the south-west corner partially collapsed in the 18th century. The square Little Stair Tower was the entrance from the bailey to the withdrawing rooms south of the great hall. At ground floor level there was a doorway in each of the tower's faces. Directly south of the east side of the tower was the castle's chapel. The northern door led to the great hall, and the western door to a cellar under the great chamber. There are only fragmentary remains of the spiral staircase. Above the passageway was a single room, of uncertain purpose: it may have been used as another chapel, a guest room, or an antechamber where guests would wait before being admitted into the earl's presence. South of the great hall was a two-storey building containing withdrawing chambers, dating from around 1200. Narrow windows opening onto the bailey were original but have since been filled in. The first floor was entirely occupied by the great chamber, furnished with a fireplace. In the south-west corner of the room was a door to a small room which was perhaps used as a safe. The ground floor was used as a cellar, through which the Carrickfergus Tower could be accessed. The polygonal tower was also accessible through the great chamber at first floor level. Fitted with latrines and a fireplace, it was an extension of the lordly accommodation provided by the great chamber. Montagu Tower in the south-east corner was probably built by John Neville, Lord Montagu, in the 15th century. Fitted with latrines and fireplaces, the upper floors provided accommodation, most likely for the more important members of the household. By the 16th century, the ground floor was used as a stable. The buildings against the south curtain wall between Montagu Tower and the gatehouse are of unknown purpose. North of Montagu Tower, against the east curtain wall, are the ruins of stables which stood two storeys high. West of the stables was a wellhouse containing a stone-lined well some 18 metres (59 ft) deep. The Grey Mare's Tail Tower, probably built in the 1290s, has a slit in each of its five faces, offering views along the curtain wall. Plan of the keep's first floor from The Growth of the English House by John Alfred Gotch, 1909. North is on the left. 1 vestibule (leading from entrance in basement); 2 hall; 3 chapel; 4 great chamber; 5 kitchens; 6 pantry and buttery. Goodall described Warkworth's keep as "a masterpiece of medieval English architecture". Built in the last quarter of the 14th century, it was probably designed by John Lewyn. It was laid out in the form of a Greek cross and originally it was crested with a battlement, and perhaps decorative statues. Around the top of the building survive carvings of angels carrying shields. A large lion representing the Percy's coat of arms overlooked the town from the north side of the keep. The lion and sculptures were probably originally painted and would have stood out from the rest of the building. Archaeologist Oliver Creighton suggests that the rebuilding of the keep and other reconstruction work were meant to suggest the enduring lordship of the owners. On top of the keep is a lookout tower, which would have been less prominent before the keep's roof was removed. Goodall suggests that the keep was used only for short periods, and the west range, including the great hall, was the lord's preferred residence for prolonged visits to Warkworth Castle. The ground floor was used predominantly for storage of food and wine, but there was also a room with access to a basement chamber roughly 9 feet (2.7 m) square. This has variously been interpreted as an accounting room with a floor safe, or guardroom with a dungeon dug into the floor. In the keep's west wall was a postern through which stores would pass into the building. Kitchens occupied the west side of the first floor and were connected via staircases to the stores immediately below. In the south-east corner was a great hall, originally heated by a central hearth and spanning the height of the first and second floors. A chapel off the great hall led to a large formal room where the lord would meet guests. The second floor was entirely domestic in nature, with bedrooms and withdrawing chambers. In the 19th century, while the rest of Warkworth Castle was in ruins, the rooms of the second floor were re-roofed and occasionally used by the duke on visits. At the centre of the keep was a lightwell with interior windows; at its foot was a tank for collecting rainwater used for cleaning. Wikimedia Commons has media related to Warkworth Castle. Duke of Northumberland is a noble title that has been created three times in English and British history, twice in the Peerage of England and once in the Peerage of Great Britain. The current holder of title is Ralph Percy, 12th Duke of Northumberland. The title was first created in the Peerage of England in 1551 for John Dudley and he had already been created Viscount Lisle in 1543 and Earl of Warwick in 1547, in the Peerage of England. In 1553, Dudley advanced the claim of his daughter-in-law, Lady Jane Grey, to the English throne, an illegitimate son of one of his younger sons, Robert Dudley, 1st Earl of Leicester, Sir Robert Dudley, claimed the dukedom when in exile in Italy. 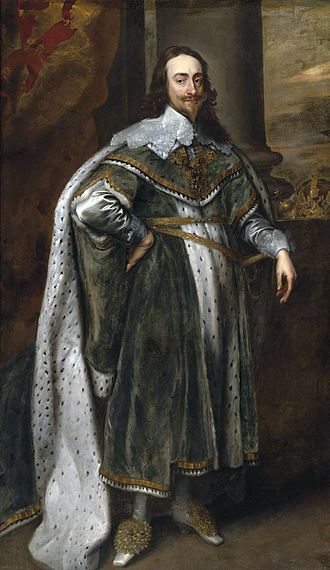 On 9 March 1620 the Emperor Ferdinand II officially recognised the title, George FitzRoy, 1st Earl of Northumberland, an illegitimate son of king Charles II, was created Duke of Northumberland in the Peerage of England in 1683. He had already been created Baron of Pontefract, Viscount Falmouth and Earl of Northumberland in 1674, all the titles became extinct on his death in 1716 as he left no heirs. In 1716 Philip Wharton, 1st Duke of Wharton, was created Duke of Northumberland, Marquess of Woburn, Earl of Malmesbury and Viscount Winchendon in the Jacobite Peerage, the title had no legal validity in the Kingdom of Great Britain. The Duke was succeeded in the dukedom and associated titles by his eldest son, the 2nd Duke, the 3rd Duke held office as Lord-Lieutenant of Ireland from 1829 to 1830. The 4th Duke was an admiral in the Royal Navy and notably served as First Lord of the Admiralty in 1852. He was childless and on his death in 1865 the barony of Prudhoe became extinct while the barony of Percy was inherited by his great-nephew, John Stewart-Murray, 7th Duke of Atholl. The Admiral was succeeded in the dukedom and remaining titles by his first cousin, the barony of Lovaine and earldom of Beverley have since been merged in the dukedom as courtesy titles. The 5th Duke was succeeded by his eldest son, the 6th Duke, the 6th Dukes eldest son, the 7th Duke, was summoned to the House of lords through a writ of acceleration in his fathers junior title of Lord Lovaine in 1887. Brough Castle is a ruined castle in the village of Brough, England. The castle was built by William Rufus around 1092 within the old Roman fort of Verterae to protect a key route through the Pennine Mountains, the initial motte and bailey castle was attacked and destroyed by the Scots in 1174 during the Great Revolt against Henry II. Rebuilt after the war, a keep was constructed and the rest of the castle converted to stone. In 1521, Henry Clifford held a Christmas feast at the castle, after which a fire broke out. The castle remained abandoned until Lady Anne Clifford restored the property between 1659 and 1661, using it as one of her northern country homes, in 1666 another fire broke out, once again rendering the castle uninhabitable. Brough Castle went into decline and was stripped first of its fittings. The castles masonry began to collapse around 1800, in 1921, Brough Castle was given to the state and is now run by English Heritage as a tourist attraction. It is a building and a scheduled monument. Brough Castle was built on the site of the Roman fort of Verterae, the site protected the Stainmore Pass that stretched from the River Eden across the Pennines, and the Roman road connecting Carlisle and Ermine Street, a valuable trading route during the period. The north side of the overlooks the River Eden. 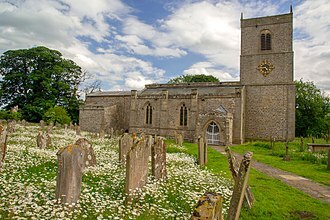 The village of Church Brough was created alongside the castle at around the time, in the form of a planned settlement. The region around Brough continued to be disputed between the kings of England and Scotland, in 1173, William the Lion of Scotland invaded as part of the Great Revolt against the rule of Henry II. Williams army struck south but failed to take Wark and moved on to attack Carlisle instead, when that failed too, they successfully took Appleby before turning their attention to Brough. Brough, guarded by six knights, put up a strong resistance, William destroyed the remaining defences of the castle using Flemish mercenary troops. Henry IIs forces defeated William at the battle of Alnwick and Brough Castle was recovered in the year, Henry II had a square stone keep constructed in the 1180s by first Theobald de Valoignes and Hugh de Morville, who rebuilt the remains of the castle. Ordnance Survey is a non-ministerial government department which acts as the national mapping agency for Great Britain and is one of the worlds largest producers of maps. Since 1 April 2015 it has operated as Ordnance Survey Ltd, the Ordnance Survey Board remain accountable to the Secretary of State for Business and Industrial Strategy. It is a member of the Public Data Group, the agencys name indicates its original military purpose, mapping Scotland in the wake of the Jacobite rebellion in 1745. There was a general and nationwide need in light of the potential threat of invasion during the Napoleonic Wars. Ordnance Survey mapping is usually classified as either large-scale or small-scale, the Surveys large-scale mapping comprises maps at six inches to the mile or more and was available as sheets until the 1980s, when it was digitised. Small-scale mapping comprises maps at less than six inches to the mile, such as the one inch to the mile leisure maps. These are still available in sheet form. Ordnance Survey maps remain in copyright for fifty years after their publication, some of the Copyright Libraries hold complete or near-complete collections of pre-digital OS mapping. The origins of the Ordnance Survey lie in the aftermath of the last Jacobite rising which was defeated by forces loyal to the government at the Battle of Culloden in 1746. In 1747, Lieutenant-colonel David Watson proposed the compilation of a map of the Highlands to facilitate the subjugation of clans, in response, King George II charged Watson with making a military survey of the Highlands under the command of the Duke of Cumberland. Among Watsons assistants were William Roy, Paul Sandby and John Manson, the survey was produced at a scale of 1 inch to 1000 yards and included the Duke of Cumberlands Map now held in the British Library. This work was the point of the Principal Triangulation of Great Britain. 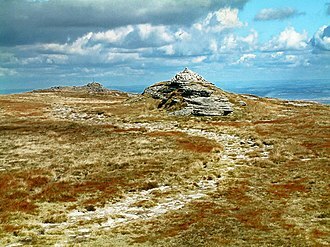 Roys technical skills and leadership set the standard for which Ordnance Survey became known. Work was begun in earnest in 1790 under Roys supervision, when the Board of Ordnance began a military survey starting with the south coast of England. Malcolm IV, nicknamed Virgo, the Maiden, King of Scots, was the eldest son of Henry, Earl of Huntingdon and Northumbria and Ada de Warenne. The original Malcolm Canmore, a name now associated with his great-grandfather Malcolm III, he succeeded his grandfather David I, for much of his reign he was in poor health and died unmarried at the age of twenty-four. Earl Henry and heir of King David I of Scotland, had been in health throughout the 1140s. He died suddenly on 12 June 1152 and this was because Earl Henry had left behind three sons to carry forward the lineage of his father. Malcolm, the eldest of Earl Henrys sons, was eleven years old. He was however sent by his grandfather on a circuit of the kingdom, accompanied by Donnchad, Mormaer of Fife, Donnchad had been styled rector, perhaps indicating that he was to hold the regency for Malcolm on Davids death. These preparations were timely, because King David survived his son less than one year, Malcolm was inaugurated as king on 27 May 1153 at Scone at age twelve. Donnchad, who became regent for the young Malcolm, ensured that the inauguration took place before the old king was even buried. This might appear unseemly, but there was reason for the haste. Malcolm was not without rivals for the kingship, Donnchad himself died a year later, in 1154. The Orkneyinga Saga claims William the Noble, son of William fitz Duncan, was the man whom every Scotsman wanted for his king. As William fitz Duncan married Alice de Rumilly c.1137, young William could only have been a youth, perhaps a child, by 1153. There is no evidence to suggest that William ever made any claims to the throne, another contender, imprisoned at Roxburgh since about 1130, was Máel Coluim mac Alaxandair, an illegitimate son of Alexander I. Máel Coluims sons were men in 1153. They could be expected to contest the succession, and did so, as a new and young king, Malcolm faced threats to his rule from his neighbours. Foremost among them were Somerled, King of Argyll, Lord of Galloway, the first open opposition to Malcolm came in November 1153, from family rivals, the sons of Máel Coluim mac Alaxandair. Bamburgh Castle, on the coast at Bamburgh, England, is a Grade I listed building.420 until 547, the year of the first written reference to the castle. In that year the citadel was captured by the Anglo-Saxon ruler Ida of Bernicia and it was briefly retaken by the Britons from his son Hussa during the war of 590 before being relieved the same year. His grandson Æðelfriþ passed it on to his wife Bebba, from whom the early name Bebbanburgh was derived, the Vikings destroyed the original fortification in 993. The Normans built a new castle on the site, which forms the core of the present one, William II unsuccessfully besieged it in 1095 during a revolt supported by its owner, Robert de Mowbray, Earl of Northumbria. After Robert was captured, his wife continued the defence until coerced to surrender by the threat to blind her husband. Bamburgh became the property of the reigning English monarch, henry II probably built the keep. As an important English outpost, the castle was the target of raids from Scotland. 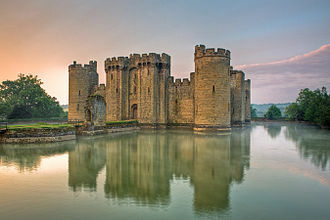 During the civil wars at the end of King Johns reign, in 1464 during the Wars of the Roses, it became the first castle in England to be defeated by artillery, at the end of a nine-month siege by Richard Neville, 16th Earl of Warwick. The Forster family of Northumberland provided the Crown with twelve successive governors of the castle for some 400 years until the Crown granted ownership to Sir John Forster, the castle deteriorated but was restored by various owners during the 18th and 19th centuries. It was finally bought by the Victorian industrialist William Armstrong, who completed the restoration, in 1944, during the Second World War, the Royal Navy corvette HMS Bamborough Castle was named after it. The castle still belongs to the Armstrong family, and is opened to the public and it hosts weddings and corporate events. It has been used as a location since the 1920s, featuring in films such as Ivanhoe, El Cid, Queen of Scots. About 9 miles to the south on a point of land is the ancient fortress of Dunstanburgh Castle. In its governance and religious observance a collegiate church is similar to a cathedral, although a collegiate church is not the seat of a bishop and has no diocesan responsibilities. Collegiate churches were supported by extensive lands held by the church. They commonly provide distinct spaces for congregational worship and for the offices of their clerical community. In England these churches were termed minsters, from the Latin monasterium, in less affluent foundations, the pooled endowments of the community were apportioned between the canons, such canons being termed portioners. Both prebendaries and portioners tended in this period to abandon communal living, because each prebend provided a discrete source of income, in the medieval period prebendaries increasingly tended to be non-resident, paying a vicar to undertake divine service in their place. One particular development of the chantry college principle was the establishment in university cities of collegiate foundations in which the fellows were graduate academics, local parish churches were appropriated to these foundations, thereby initially acquiring collegiate status. This has influenced the design of churches in that the singing choir is seen as representing the idea of a college. The Westminster model of parliamentary seating arrangement arose from Parliaments use of the collegiate St Stephens Chapel Westminster for its sittings, until Westminster Palace burned down in 1834. Three traditional collegiate churches have survived in England since the Middle Ages, at Westminster Abbey in London, St Georges Chapel of Windsor Castle and St Endellions Church, the idea of a collegiate church has continued to develop a contemporary equivalent. Two different examples of collegiate churches in America today are The Collegiate Church of New York City. St. Pauls Collegiate Church at Storrs features contemporary architecture reflecting traditional collegiate church architecture, unlike most historical collegiate churches, this is a non-denominational, evangelical church. According to church leaders, they chose the name collegiate to emphasize the priesthood of all believers, in the Catholic Church, most cathedrals possess a cathedral chapter and are thus collegiate churches. Carlisle Castle is situated in Carlisle, in the English county of Cumbria, near the ruins of Hadrians Wall. The castle is over 900 years old and has been the scene of many episodes in British history. Given the proximity of Carlisle to the border between England and Scotland, it has been the centre of many wars and invasions, today the castle is managed by English Heritage and is open to the public. Carlisle Castle was first built during the reign of William II of England, at that time, Cumberland was still considered a part of Scotland. William II ordered the construction of a Norman style motte and bailey castle in Carlisle on the site of an old Roman fort, the need for a castle in Carlisle was to keep the northern border of England secured against the threat of invasion from Scotland. In 1122, Henry I of England ordered a castle to be constructed on the site. Thus a keep and city walls were constructed, the existing Keep dates from somewhere between 1122 and 1135. The act of driving out the Scots from Cumberland led to attempts to retake the lands. The result of this was that Carlisle and its castle would change many times for the next 700 years. The first attempt began during the reign of Stephen of England. On 26 March 1296, John The Red Comyn, since the quarter of 1295 Lord of Annandale. The governor of the castle, one Robert de Brus, deposed Lord of Annandale, successfully withstood the attack, Henry VIII converted the castle for artillery, employing the engineer Stefan von Haschenperg. For a few months in 1567, Queen of Scots was imprisoned within the castle, in the Warden’s Tower, the castle was besieged by the Parliamentary forces for eight months in 1644, during the English Civil War. The most important battles for the city of Carlisle and its castle were during the second Jacobite rising against George II of Great Britain in 1745, the forces of Prince Charles Edward Stuart travelled south from Scotland into England reaching as far south as Derby. Carlisle and the castle were seized and fortified by the Jacobites, however they were driven north by the forces of William Augustus, Duke of Cumberland, the son of George II. Peveril Castle is a ruined 11th-century castle overlooking the village of Castleton in the English county of Derbyshire. The town became the centre of the barony. The castle has views across the Hope Valley and Cave Dale, William Peveril the Younger inherited his fathers estates, but in 1155 they were confiscated by King Henry II. While in royal possession, Henry visited the castle in 1157,1158, and 1164, during the Revolt of 1173–1174, the castles garrison was increased from a porter and two watchmen to a force led by 20 knights shared with the castles of Bolsover and Nottingham. The closest Peveril Castle came to seeing battle was in 1216, when King John gave the castle to William de Ferrers, but the castellan refused to relinquish control. 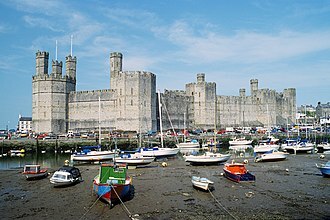 Although they were both Johns supporters, the king authorised the earl to use force to evict the castellan, in 1223 the castle returned to the Crown. In the 13th century there were periods of building work at the castle, toward the end of the 14th century, the barony was granted to John of Gaunt, Duke of Lancaster. Having little use for the castle, he ordered some of its material to be stripped out for re-use, from the time of John of Gaunt to the present day, the castle has been owned and administered by the Duchy of Lancaster. Peveril Castle became less important administratively, and by 1609 it was very ruinous, in the 19th century, Sir Walter Scott featured the castle in his novel Peveril of the Peak. The site is situated in a park, and cared for by English Heritage. Peveril Castle is protected as a monument and a Grade I listed building. Peveril Castle stands on a limestone outcrop overlooking the west end of Hope Valley, in the midst of an ancient landscape. Overlooking the head of the valley,2 km to the west, is Mam Tor, a Bronze Age hill fort, the valley formed a natural line of communication and had extra importance due to valuable mineral resources in the area, particularly lead. The small Hope Castle lay halfway along the valley, the castles founder, William Peveril, was a follower of William the Conqueror and was rewarded for supporting him during the Norman Conquest. English Heritage is a registered charity that manages the National Heritage Collection. This comprises over 400 of Englands historic buildings and sites spanning more than 5,000 years of history, within its portfolio are Stonehenge, Dover Castle, Tintagel Castle and the best preserved parts of Hadrians Wall. English Heritage manages the London Blue Plaques scheme, which links influential historical figures to particular buildings and it was created to combine the roles of existing bodies that had emerged from a long period of state involvement in heritage protection. The British government gave the new charity an £80 million grant to establish it as an independent trust. Over the centuries, what is now called Heritage has been the responsibility of a series of state departments. There was the Kings Works after the Norman Conquest, the Office of Works, the Office of Woods, Land Revenues and Works, and the Ministry of Works. Responsibility subsequently transferred to the Ministry of Public Building and Works to the Department of the Environment and now the Department for Culture, the states legal responsibility for the historic environment goes back to the Ancient Monuments Protection Act 1882. Central government subsequently developed several systems of protection for different types of assets, introducing listing for buildings after WW2. The Historic Buildings and Monuments Commission was formed under the terms of the National Heritage Act 1983 on 1 April 1984, soon after, the commission gained the operating name of English Heritage by its first Chairman, Lord Montagu of Beaulieu. A national register of parks and gardens, was set up in 1984. Registration is a consideration in the planning process. In 2010–2011 it recorded 4.3 million unique online user sessions, in 2012 the section responsible for archive collections was renamed the English Heritage Archive. 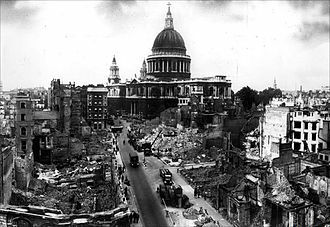 As a result of the National Heritage Act 2002, English Heritage acquired administrative responsibility for historic wrecks, the administration of the listed building system was transferred from DCMS to English Heritage in 2006. It was retained on grounds of performing a function which should remain independent from Government. Algernon Percy, 10th Earl of Northumberland, 4th Baron Percy, KG was an English military leader and a prominent supporter of the Parliamentary cause in the English Civil War. Algernon Percy was the third, but eldest surviving, son of Henry Percy, 9th Earl of Northumberland, the so-called Wizard Earl. In 1605, the 9th Earl was accused of participation or complicity in the Gunpowder Plot. The 9th Earl exerted influence on young Algernons education in spite of his imprisonment, on the model of King James Is Basilikon Doron, the 9th Earl wrote an essay of advice to his son in 1609. His sister, Lucy Hay née Percy, dowager countess of Carlisle, another sister, was married to Robert Sidney, 2nd Earl of Leicester. In 1615, Algernon was sent to study at St Johns College, Cambridge and he received his MA in 1616 and was made a Knight of the Bath, meaning he was now Sir Algernon Percy. In 1618, Algernon and his tutor, Edward Douse, began a tour of continental Europe, visiting the Netherlands, Italy. Algernon returned to England in 1624 and joined his father, recently released from the Tower, Algernons first public service involved serving as MP for Sussex during the Happy Parliament of 1624–25 and as MP for Chichester during the Useless Parliament of 1625–26. 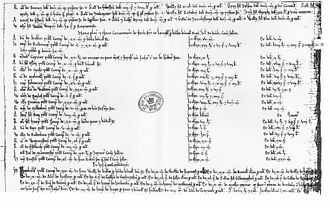 In March 1626, Algernon was summoned to the House of Lords, assuming his fathers barony, in November 1626, he was appointed joint Lord Lieutenant of Cumberland and Northumberland. Percy became a leader in the House of Lords of the faction opposed to Charles Is favourite, George Villiers, 1st Duke of Buckingham. The marriage, produced five daughters, including Anne, who married Philip Stanhope, 2nd Earl of Chesterfield, no issue, and Elizabeth, upon the death of the 9th Earl in 1632, Algernon Percy became the 10th Earl of Northumberland. By 1636–37, he was in good standing at court to be appointed admiral of the ship money fleet. Northumberland attempted to initiate naval reforms, often bypassing the lords of the admiralty and submitting his proposals directly to Charles I and the Privy Council. Although most historians would not consider Northumberland a Puritan, he did enforce the Oath of Supremacy on his fleet, if Dutch sea captains refused to purchase the licences, their nets were cut. Northumberland was less enthusiastic about his expedition as admiral, which was to transport Spanish money to the Netherlands in 1637. The Anarchy was a civil war in England and Normandy between 1135 and 1153, which resulted in a widespread breakdown in law and order. The conflict was a succession crisis precipitated by the death of William Adelin. Stephens early reign was marked by fighting with English barons, rebellious Welsh leaders. Following a major rebellion in the south-west of England, Matilda invaded in 1139 with the help of her half-brother, in 1141 Stephen was captured following the Battle of Lincoln, causing a collapse in his authority over most of the country. Stephen almost seized Matilda in 1142 during the siege of Oxford, the war dragged on for many more years. Empress Matildas husband, Geoffrey V of Anjou, conquered Normandy, rebel barons began to acquire ever greater power in northern England and in East Anglia, with widespread devastation in the regions of major fighting. 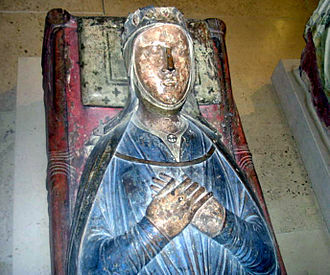 In 1148 the Empress returned to Normandy, leaving the campaigning in England to her young son, Stephen unsuccessfully attempted to have his own son, recognised by the Church as the next king of England. 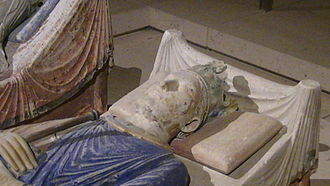 By the early 1150s the barons and the Church mostly wanted a long-term peace, when Henry FitzEmpress re-invaded England in 1153, neither factions forces were keen to fight. 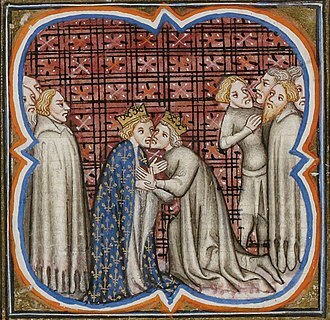 After limited campaigning and the siege of Wallingford and Henry agreed a negotiated peace, Stephen died the next year and Henry ascended the throne as Henry II, the first Angevin king of England, beginning a long period of reconstruction. The origins of the Anarchy lay in a crisis involving England. In the 11th and 12th centuries, north-west France was controlled by a number of dukes and counts, frequently in conflict with one another for valuable territory. In 1066 one of men, Duke William II of Normandy, mounted an invasion to conquer the rich Anglo-Saxon kingdom of England, pushing on into south Wales. The division and control of lands after Williams death proved problematic. Henry intended for his lands to be inherited by his legitimate son. In 1120, the landscape changed dramatically when the White Ship sank en route from Barfleur in Normandy to England, around three hundred passengers died, including Adelin. Cranmore Castle in Devon is an Iron Age earthwork. Like many scheduled monuments, it blends into the landscape, and may not be evident even to those crossing over it. 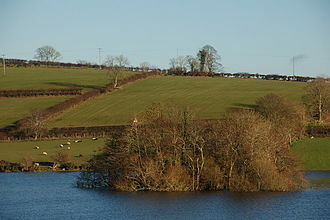 Loughbrickland Crannog is a late Bronze Age man-made island. With a moat, this is the only scrap of masonry that remains of Sleaford Castle. Interior of Collegiate Church of Our Lady of Perpetual Help and Mary Magdalene in Poznań, Poland. Stonehenge visitors' centre. 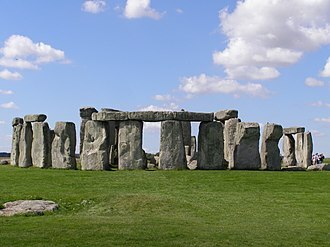 Opened in December 2013, over 2 km west of the monument, just off the A360 road in Wiltshire. Algernon Percy, 10th Earl of Northumberland, as Lord High Admiral of England. Portrait by Anthony van Dyck. Alnwick Castle, held by Henry Percy, possible birthplace of his son "Harry Hotspur"
Northumberland Row, site of the ancient Smithson house in Tottenham High Cross.